My first Memebox and my first Memebox unboxing! Well my first 2 Memeboxes I should say, since they came together as one package. Oh mah gosh! I was so excited when the mailman rang my door bell. I literally sprinted downstairs. Although it took me like 2 minutes to actually open the damn door because Momo has like a 6th sense specifically for mailmen or something and he was ready for some excitement lol. 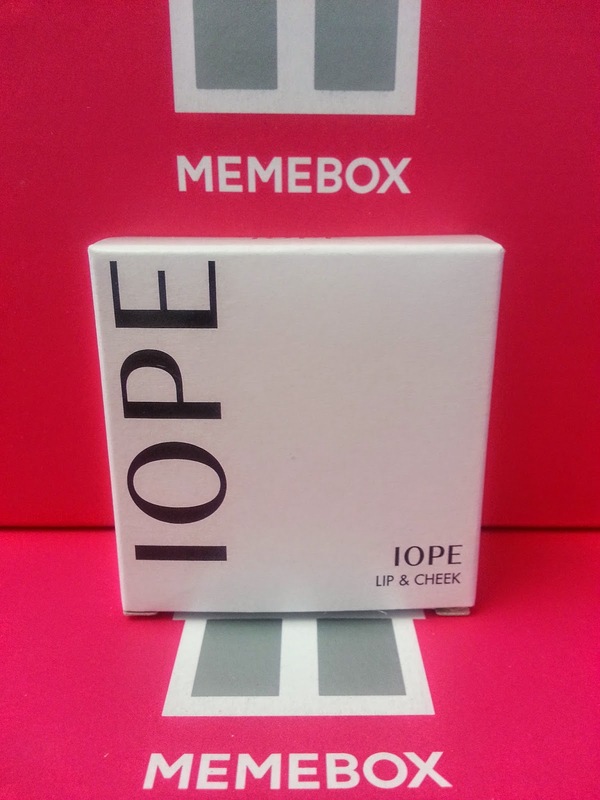 For those of you who don't know what Memebox is, it is a non-subscription beauty box service. 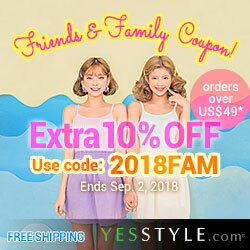 It offers all sorts of beauty boxes from makeup & skincare to hair care & body care. 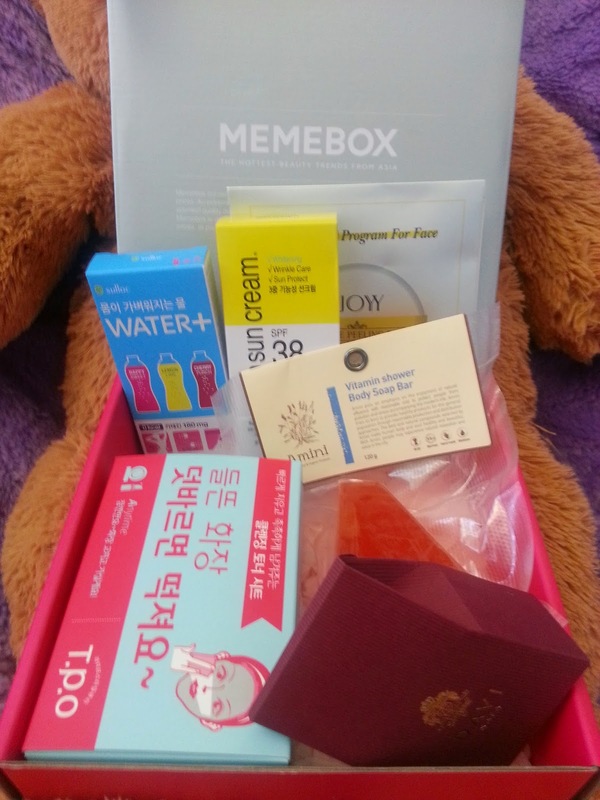 They have several types of boxes such as Memebox, Superbox, and Lucky Box. They also have naked boxes for those who want to know exactly what they are buying. 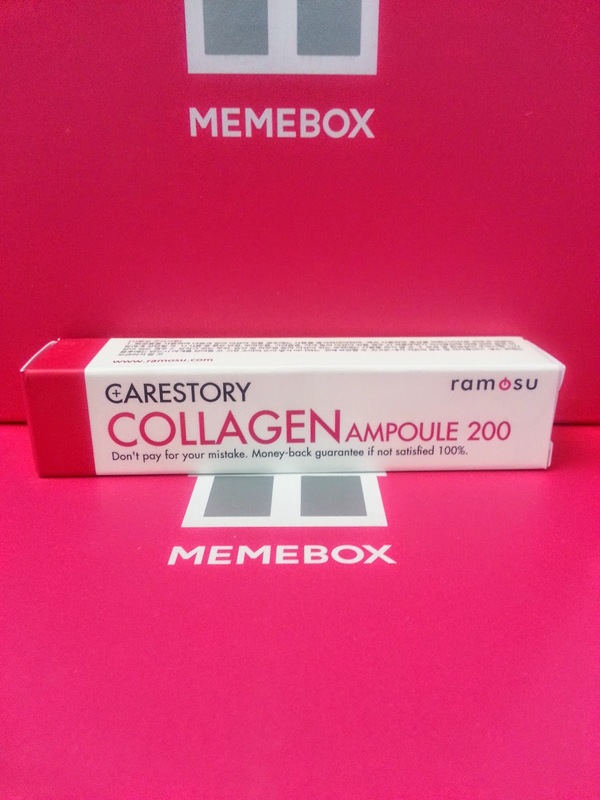 Here's more information on Memebox. Anyways, the Jackpot box was up for sale nearing the end of August, which wasn't too long ago. I had been checking out the website for a long time (like 4 months) before I made my first purchase. Gotta make sure that they have good boxes with products that I'd like. Any who, the Jackpot box is like a 'gambling' box and I say that because you're paying $32 dollars for a box of $155 to $1000 worth of products. Yeah, I could not let that pass me by. So I bought it. There are a total of 9 placements for those who bought the Jackpot box and they are as below. I got 4th place! Yay! I was really happy about that. I really wanted at least 2nd place for that darn BB Cushion but 4th place isn't so bad either. Normally, Memeboxes come with description cards in each box to let you know what products you got and how to use them. However, this time there was no description card. Not to fear! Memebox posted the description of each box online. So I was able to read all about them and will share it with you all here! The Jackpot box, 4th place, came with 14 products in total, worth $289. About 70% of my beauty products are Asian beauty products and I love them. So I was hopping for a lot of brands I either have used or at least know about. Out of the 14 products, I am only familiar with 2 brands. :( But it's a great time to try some new stuff so let's learn about them! 16 ml package, listed as $7 each by Memebox. 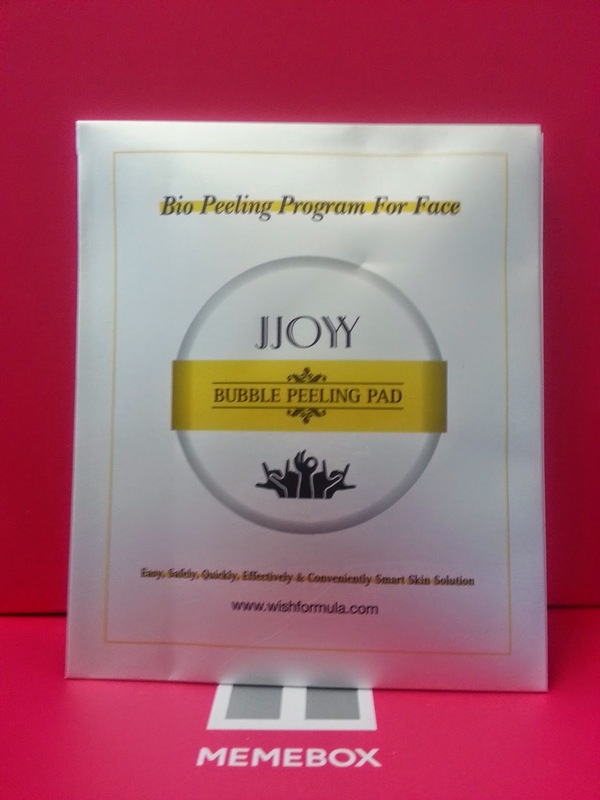 It's an exfoliating pad which works to remove dead skin cells and excess sebum off your face. It contains natural AHA components, plant extracts and fermented extracts. To use, simply moisten the pad with water to create enough foam, then place your fingers on the band and gently rub into your face. (Be careful to not let it get into your eyes.) Rinse off with warm water and apply moisturizing products. First impression: When I first read the name on the package I thought it was going to be some unique peeling mask. The name was misleading, so I was a bit disappointed to find that it's a face wash product. It's quite expensive for $7 each and unless it's some miracle product, I doubt I would buy it. I have not used it yet since my skin is currently healing from a minor break out. But I will eventually and I might write a review on it. 7ml miniature product, price was not listed. 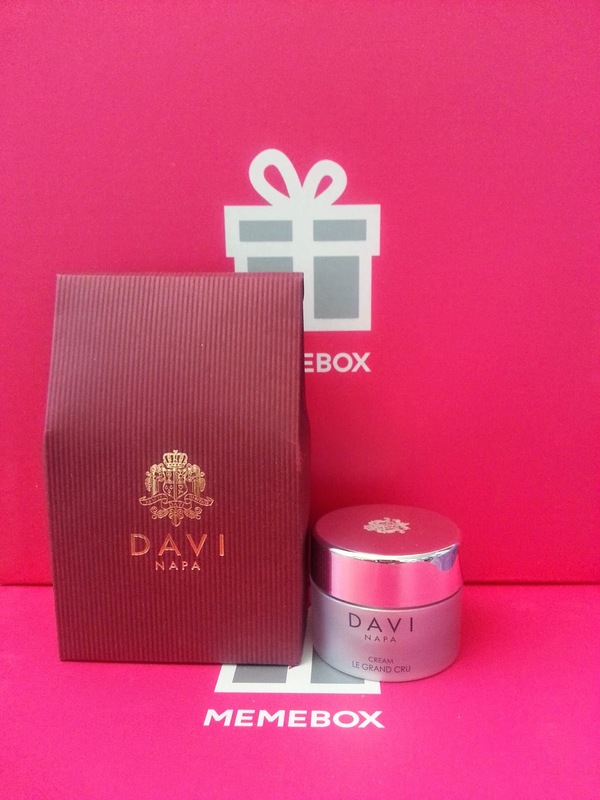 According to Memebox, it launched a premium miniature line of Davi's Le Grande Cru Cream for all it's memebers who have been waiting for a trial item before buying the full size. This cream is rich in texture and give deep nourishment and hydrate the skin. It also works to fight signs of aging by tightening and firming the skin's natural elasticity. To use, simply apply the cream at the end of your regular skin care routine. First impression: The product is small but the packaging is cute and sleek. At first I was disappointed that there's a deluxe sample in my box and I wasn't expecting it. However, when I Googled (yes, Googled) the product online, I found that a full size product is $185. Oh Mah Gosh! I'm a little happier that I get to try this. I'm not sure if I'll be able to see the results before the product run out but I'm kind of excited. Since it is a rich cream, I'm going to save it for the winter times. I'll let you know how I feel about it then! 120g, worth $12. Amini emphasizes on "enjoyment of natural affluence". It's a brand that offers affordable products and strives to provide products with natural formulas that's health beneficial. It rejuvenates and replenishes the skin with its gentle formula. It also contains ingredients like rosehip, lavender and peppermint oils. To use, simply lather the soap bar with water to generate foam. Apply the foam onto skin and gently massage it. Cleanse thoroughly and rinse off with warm water. First impression: Not a big bar soap fan so I probably won't use it, this can be a great Christmas stocking stuffer though! Yes, I mentioned Christmas in September, sorry if it's too early for some of ya'll. 50ml product, worth $11. 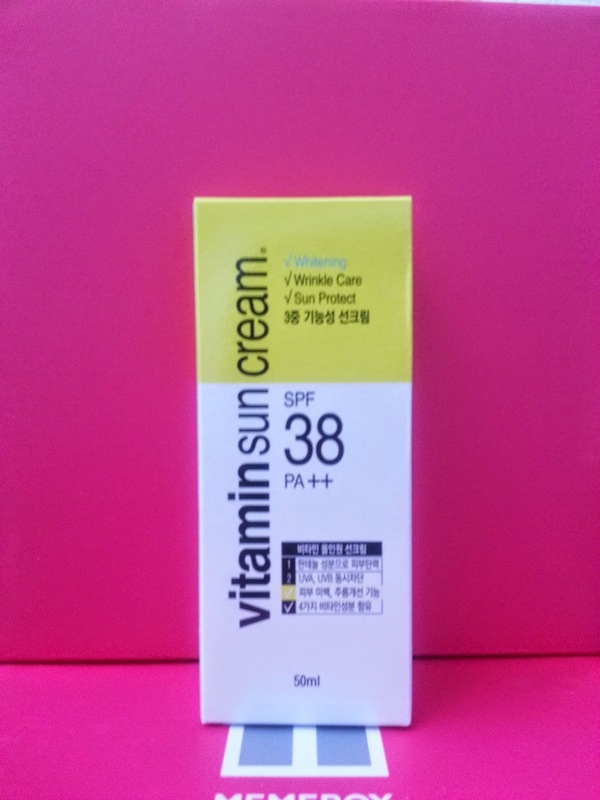 Vitamin rich sun cream, guarantees UV protection, wrinkle care, and brightening effects. A 3 in 1! It's a gentle sun care product that spreads smoothly onto the skin and absorbs quickly without any sticky feeling. First impression: Sun cream...hmm..another bottle to add to my pile. It's not a super expensive product which means that if I end up liking it after I try it out, I won't hesitate to buy it. Love that it's a 3 in 1 product and I dislike sticky sun cream. So I hope it does what it says! 7.8g, worth $6. The box contains 3 small packages with flavors of Happy Sweet, Lemon Lime, and Cherry Punch. 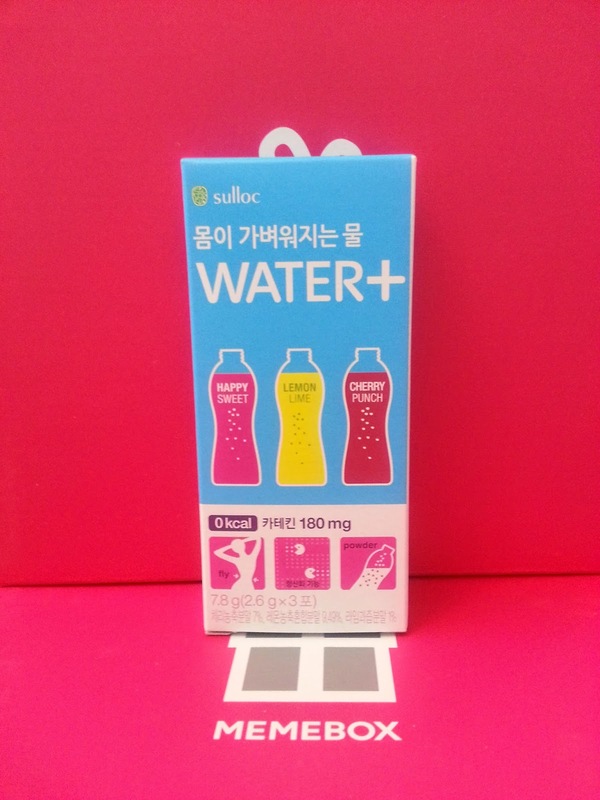 The SULLOC Water contains 180 mg of catechins, a potent antioxidant most active in green tea. It also contains 2.5mg of pantothenic acid which is equal to the antioxidant level of 12 tomatoes. Water+ allow users to feel lighter, younger and more vital. To use, simply pour 1 package into a glass of water, mix well and drink. Recommended to drink 3 times a day for best results. First impression: Wait what? I thought I was buying beauty products and while beauty is skin deep, this was not expected at all. Second, what exactly is Happy Sweet suppose to taste like? From the ingredients and a little bit of research, I gather that this is a slimming drink supplement...Um. The 180mg of catechins is suppose to purify and lighten up your body. The 2.5 mg of pantothenic scares me a little, it's antioxidant level is equal to that of 12 tomatoes. 12! And you are suppose to drink this 3 times a day...so 36 tomatoes! Lol I'm pretty sure I'm blowing this out of proportion, but I wish Memebox provided more information on this, since the package is all in Korean. From what I've searched online, you are suppose to drink this 30 minutes after you eat for best results. With only 3 packages, I can't tell you if it's effective or not but I'll let you know how it taste. 30 pieces for $14. This toner sheet is perfect for quick makeup fixes, removing makeup residues and moisturizing dry skin. 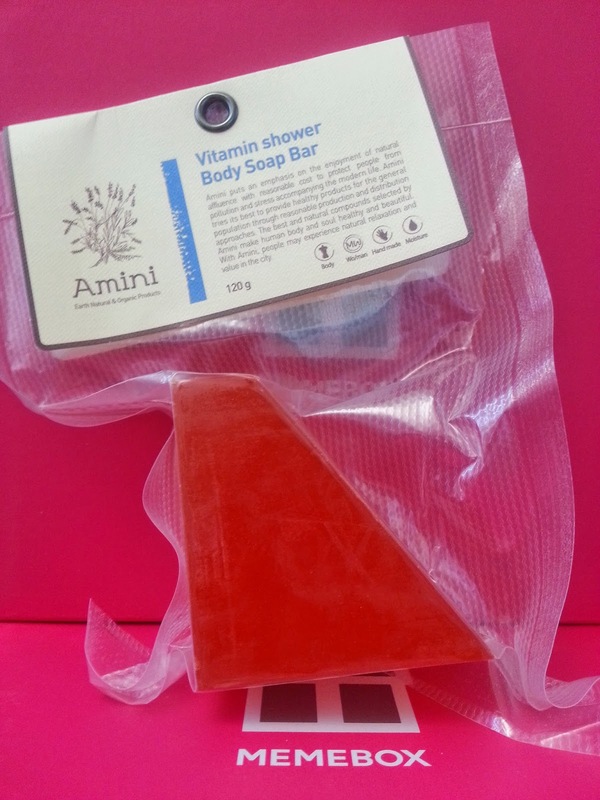 It will quickly and easily cleanse away any impurities on your skin. To use, simply take out a sheet and gently wipe, no need to rinse off afterwards. First impression: So this is a makeup remover wipe that doubles as a face moist sheet? Awesome! It's about the average price of our makeup wipes. Even if I end up using this product, which I probably will since I'm low of my makeup remover wipes, I'll still double cleanse because if this is a miracle product, everyone and their moms would be using it by now. However, I love that inside this box, there's a resealable package which stores the wipes. 15ml miniature product, in the color #21 nudy beige. 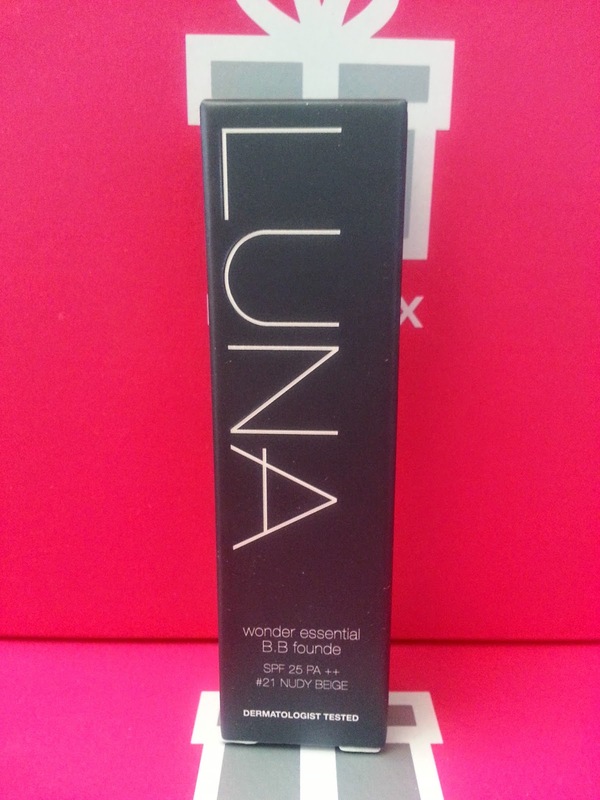 The BB Founde offers natural coverage and contains rich vitamins and minerals. Its light texture will thinly coats over your face when applied and leaves the skin glowing while feeling silky smooth. To use, simply pump out desired amount (generally 2-3 pumps) and use a puff or your hands to spread it evenly over your face. Pat it in for full absorbency. First impression: Yay! A new BB cream to try. I haven't hear of this brand yet but I'm excited none the less. You can't go wrong with Korean BB creams right? This is a deluxe sample size product, this full size retails for around $27, not bad. 4g, priced at $42, in shade 01 Rose Pink. A dual use stain for the lips and cheeks, comes in a sleek packaging with a mirror. Use your fingers to softly dab the product either on your lips or cheeks and blend it in. First impression: $42 for a 4g product, really? However, I'm excited about the product itself. I've never used a cream cheek product before, so I'm excited to try it out. The color is beautiful and I will definitely review this in the future! 12ml, worth $5. For damaged hair, simply apply it throughout your hair and towel dry, no need to wash out. First impression: Had to research a bit to find more information on this product. This product contains wheat protein, castor oil, and algae extract. It's a protein and collagen treatment for your hair. Aside from the method of use above, you can also apply it to you hair after you've shampooed but no conditioning. Then put a shower cap over your hair and go to sleep. In the morning rinse off with water. I will try this, although my hair is pretty healthy already. 10ml, $36. This ampoule is infused with 17 different kinds of amino acids and it's a 100% concentrated collagen ampoule. It will deliver intense hydration and facilitate cell regeneration for supple and firm skin. It glides smoothly on the skin and doesn't smell or feel sticky. 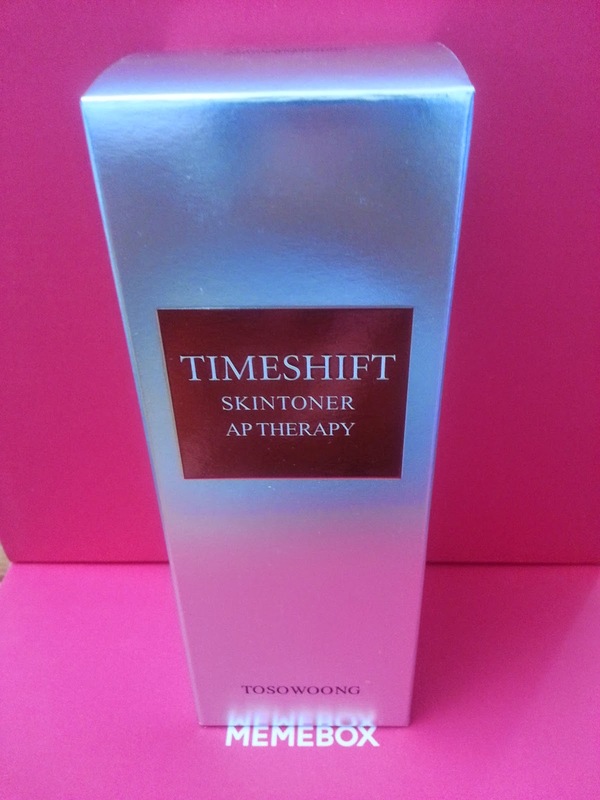 To use, take a few drops of the ampoule and apply it evenly to the face. Gently pat your face for better absorbency. First impression: A collagen ampoule, sounds exciting. 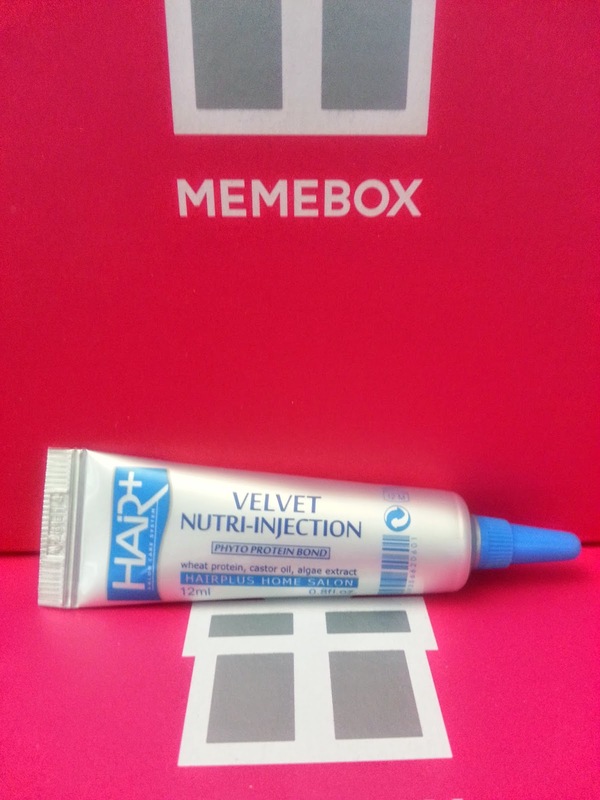 This product is currently on sale on Memebox, 2 for only $30! And with a TD2Y coupon code, I can totally get this for $25. I will try this product ASAP and see if I like it or not. If I do, I will totally take advantage of this sale. I'll also write a review on it as well. 90ml, $4. Infused with lily and lilac fragrances, this mist can be used over clothing, curtains, bed sheets, and car seats. First impression: This really isn't a perfume, the name is deceiving. It's really a fabric freshener spray. Why is this inside my box? O.O But hey, it smells nice, so I think I can find good uses for it. 30ml, $72. 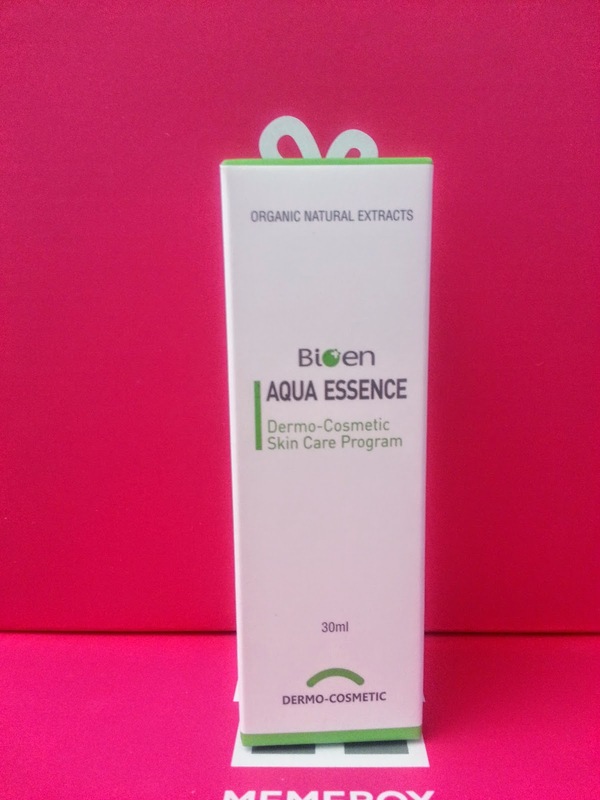 Bases its formula on hyaluronic acid, it is widely known for its intensive moisturizing and soothing properties. Keeps the skin soft and supple and delivers nutrition deep into the skin. To use, apply essence over dry areas of the face and pat it in. Good for both morning and nighttime use. First impression: Man, that's one expensive essence. Don't have dry skin really, but it sounds like a pretty moisturizing product. I will save this for winter time when the skin gets drier. 30ml, $90. Facial oil that spreads thickly but absorbs quickly creates a thin protective layer over the skin. Gives a soft and smooth skin texture. It contains organic Argan oil and Macadamia oil which will deliver nourishment and hydrates the skin. To apply, take 2 drops of the essential oil and spread it gently over the face. First impression: This product definitely was the best in the box. It's pricey but it sounds pretty promising. 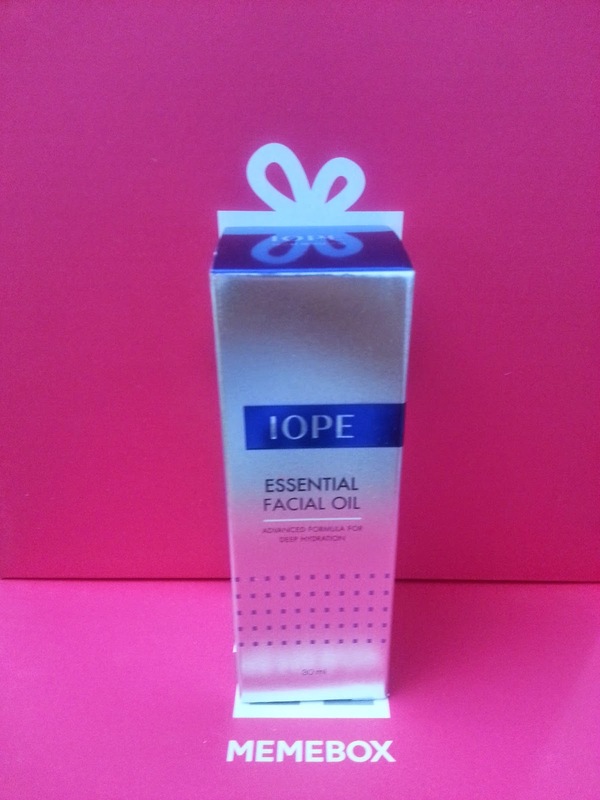 I have used Iope brand products before and they are a semi high end brand. I would love to see if this facial oil is great for facial massages as well. If it is, than I can stop using those facial massage oils that I need to wash off. 120ml, $34. This toner is enriched with fermented extracts, galactomyces ferments, snail mucus extracts, bifida ferments and various plant oils. It soothes and moisturizes the skin and create a glowy radiance on the skin. To use, apply the toner after cleansing. Pat in for full absorbency. First impression: Fermented this, snail that, it might sound scary to some, but to me it's pretty exciting! I've heard of this brand before, though I've never used any of their products. I'm not lacking any toners either since I just got another SK-II and still haven't finished my Etude House one. 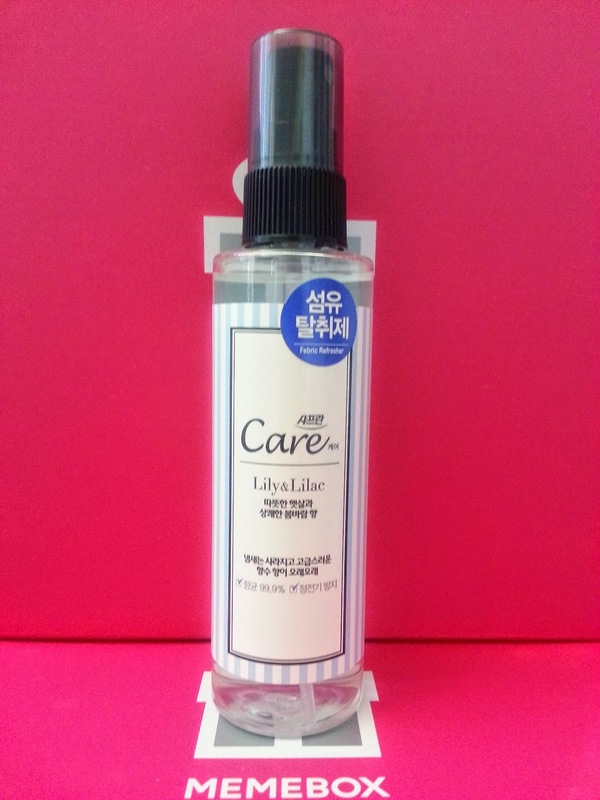 However, I will save this for the winter times, maybe by then I'll be done with my Etude House toner. Man that was long. I'm excited about a lot of the products I got in this box and cannot wait to try and review them! 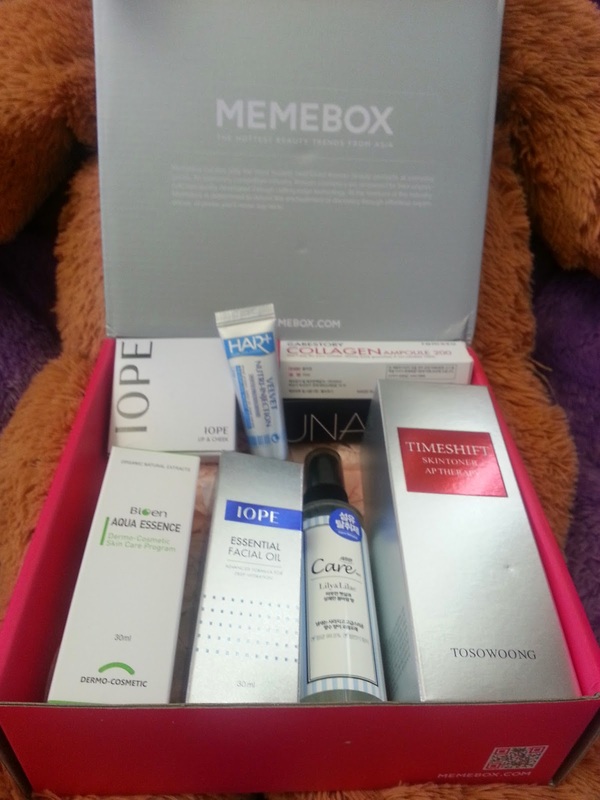 For those of you who are interested in Memebox and would like to see their current boxes, you can check them out here.. Use the September code G6E2 for $5 off any order! You can also use AFFILIATE-4819-5IQ0C-IVUS for $5 off an order of $100+ or AFFILIATE-4527-BUA59-GQRN for $10 off an order of $150+. If you know a great subscription box please let me know, I would love to check it out! Check out new boxes Memebox currently have for sale and some coupons and deals.